Millions of people around the world take a chance on their favourite casino games every day. Online casinos play different roles in the lives of punters, from being a source of potential income to simply being place to kick back and relax. Whether you enjoy playing casino games (and specifically online slots) for the possible big wins or to relax, a big win is always a welcome result! One lucky winner from Norway managed to strike it lucky and claim a brilliant big win recently. A total win of €32,000 was claimed by the lucky player while enjoying a Merkur Gaming online slot. After spending some time at home alone, the anonymous lucky winner decided to spend a little time spinning the reels of top-rated slots. After choosing Magic Mirror Deluxe by Merkur Gaming, the winner’s luck soon became apparent as he won a massive €22,000 jackpot! However, the fun didn’t stop there and his bankroll simply continued to climb the next day. “I won €22000 and was super satisfied. Then the next day I thought to try and win some more so I played and my balance never went down so I ended up having more than €32000. I feel so lucky! I cannot believe I won half million Norwegian crowns,” said the Merkur Gaming winner. There’s no better way to spend a weekend than by getting your hands on a mind-blowing sum of cash such that! As with any big win, the most important decision is what you intend to do with that cash in your pocket. The jackpot winner has decided to purchase a new Rolex watch for himself and a small car for his partner. As for the rest of his winnings, they’ll be tucked away safely in investments. Smart move! 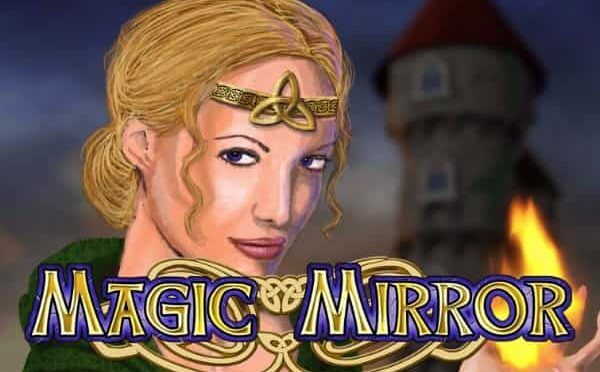 Set in a beautiful fairytale world where anything could happen, the Magic Mirror Deluxe slot is ready to transport you to unbelievable jackpots. Available to play via your desktop, spin the reels of this 10 paylines slot and you could unlock the magic of the realm. A beautiful queen will guide you on your adventure while jewels, a unicorn, and more can will lead you to creating winning combinations! If you manage to land 3 or more Scatter symbols on the reels of this enchanting slot, you’ll receive 10 free spins. You’ll also find extra Scatter symbols up for grabs to increase your chances of winning during the bonus round. Don’t hold back, show off your bravery, and claim your reward! Based in Germany, Merkur Gaming is a top software provider with more than 150 different casino games available at many different casinos. Take your pick of the brilliant creations on offer to enjoy top-notch gaming, impressive rewards, and exciting slot themes. Quality workmanship is one of the most important aspects of game creation to this slot provider. Shoddy work and sub-par games are not what makes Merkur Gaming tick, so you can look forward to only the very best games and software.